Up to 46m bank accounts plus di money inside wey no get Biometric Verification numbers (BVN) fit enter di hand of Federal Government of Nigeria. Dis one dey happen as di government get court order dis weekend to freeze di money inside dis accounts as Nigeria dey move to face corruption matter. Di court order go carry person, businesses dem and even government agencies join for di matter. Justice Nnamdi Dimgba wey give di court order also talk say make di 19 Nigerian banks don file affidavit of disclosure before di court. 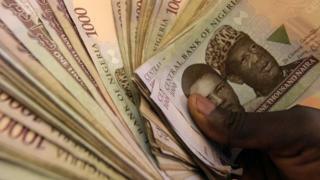 Inside dis freezing of money matter, person no go fit do any kind payment for bank or even do bank transfer. Di banks go also do talk-talk about all di details of di accounts wey no get di BVN inside newspaper, and dem go tell di people wey no register for di BVN say dem don hold dia money for di bank and e fit enter government hand. Di people wey dem go show dia name get 14 days to claim dia account, if dem go register for di BVN or di money go comot for dia account. Dis Biometric Verification Number policy na something wey di Central Bank of Nigeria do to collect customer information for di financial things wey dem dey use dia account do. Di country also use am to put eye for fraud inside Nigeria banking system.